Spine problems don’t occur only in humans. Dogs are also exposed to nerve damage, spinal cord injuries and other similar diseases that affect their health and well-being. Sometimes, these medical conditions make dogs unable to stand or walk properly. Besides, they can be quite painful, so the poor animals are usually put to sleep, in order to find their relief from pain. Luckily, such cases are less common lately, thanks to the amazing technology advances that have direct applications in veterinary medicine. You can have your dog diagnosed in as little as minutes, provided that your vet uses such modern devices that enable them to perform accurate tests on their canine patients. Advances in various branches of medicine such as neurology and neurosurgery have made it possible to heal many medical conditions once considered incurable. These advanced techniques and equipment have found their use in veterinary neurology and neurosurgery, thus helping dogs with various spinal problems improve their condition, and therefore their quality of life. Dog owners are happy to know that they can find modern veterinary clinics and hospitals nearby their homes, as there are situations in which such facilities can save the life of their pets. The faster they can take their sick dogs to a vet, the more chances they have to receive the most effective treatment. Although dogs are quite intelligent, some of them fall victim to accidents. Some of them recover, but others develop severe spine problems that prevent them from walking properly. This is only one situation in which a dog may need neurosurgery. Dogs suffering from seizures can also benefit from advances in veterinary neurology and neurosurgery, and this list could go on for a long while. Unfortunately, spinal cord injury and epilepsy are among the most common naturally occurring ailments in dogs. As these diseases make a lot of victims, the technology progress that helps vets treating and preventing them is more than welcome. Advanced diagnostic techniques can be real life-savers in both humans and pets. Such equipment has become widely available, many vet clinics offering this type of services to their patients. Thanks to advanced medical technology, dogs with spinal problems can be diagnosed with much better accuracy. MRI and CT, including 3D image reconstruction, as well as ultrasound examinations are now possible. This is how vets can find and address many spinal problems in dogs. Besides, veterinary surgery is also more effective today than one or two decades ago. Vets can excise various tumors, thanks to modern techniques such as the ultrasonic tissue ablation systems. Spinal and intracranial surgery are common interventions, so many dog owners can treat their furry friends without having to travel to other cities or states. Besides, these advanced treatments have become a lot more affordable today than several years ago. As you can see, dogs with spine problems have a much better future today, thanks to all these veterinary neurology and neurosurgery techniques and equipment. Early diagnoses allow vets to treat these dogs in incipient stages of their diseases, thus improving the healing rate and the patient prognosis. The only challenge scientists foresee is to find enough vets willing to receive this type of training, so that they can become experts in neurosurgery and neurology. As most vets prefer to treat the common diseases of dogs and cats, there are still very few specialists that can handle such difficult cases. 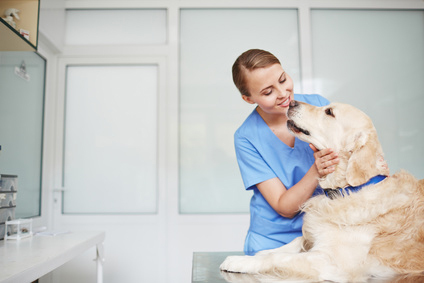 Nonetheless, as new generations graduate from veterinary school, there is hope that many of these your vets are going to be attracted to this specialty.